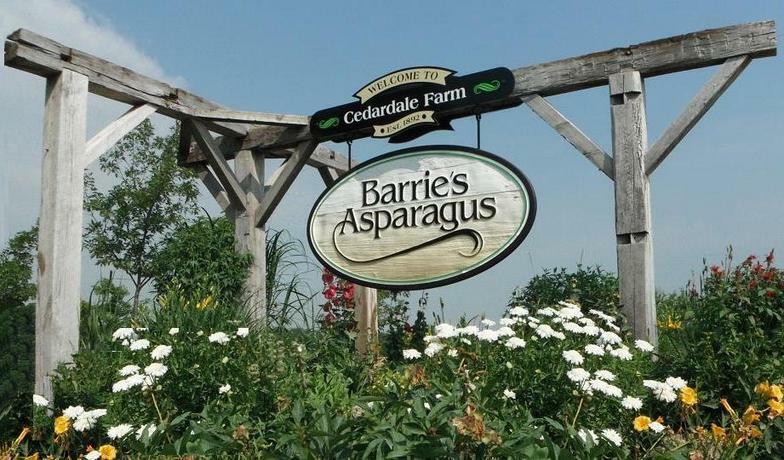 At Barrie's Asparagus Farm, customer service and community partnerships come first. Please contact us by phone or email so we can answer your questions to ensure you are 100% satisfied. WHOLESALE PRICES are available. Please call or email to request a detailed list. home of Barrie's Asparagus & Country Market. Be sure to SIGN OUR GUEST BOOK while you're here!